I realized I never posted a photo of my new writing desk. I’ve been spending a lot of time here and our cat has a new favorite spot. 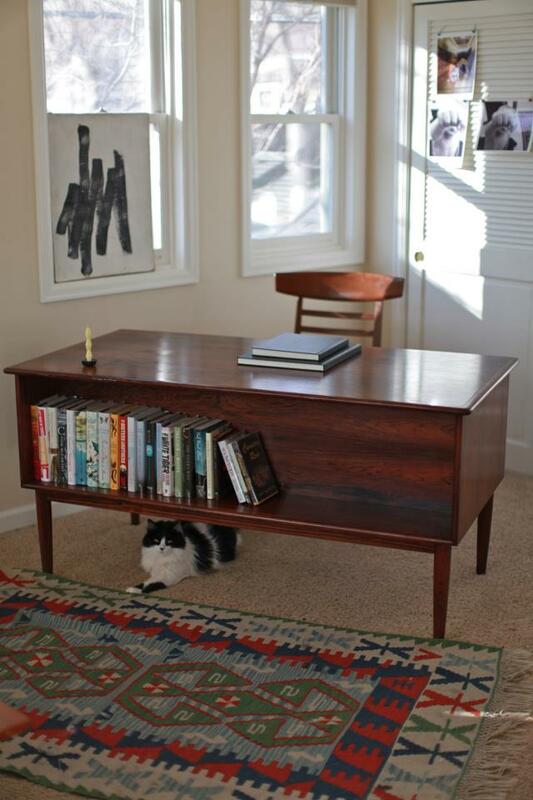 Darcie Shively, I love you and your desk and your cat! Sounds like you had a good year and you are as Darcieish as ever! What’s the plan for 2012? It’s been way too long! Come and visit London!! You are currently reading my new home at 52 To Do.